The mastermind behind the Red Ribbon Army, Supreme Commander Red rules his men with an iron fist. Failure is not tolerated in his organization, and any soldier who delivers less than complete success is immediately...removed. Commander Red is notorious for his cruelty, and despite his rather diminutive stature, his men have a tendency to cower in his presence. 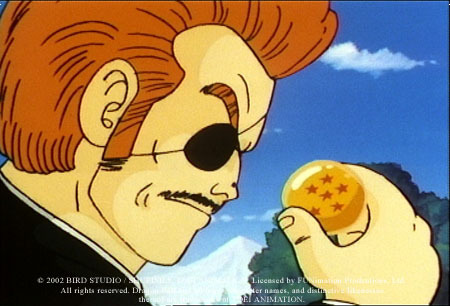 Red has only one driving desire, but in order to realize this desire he must first collect all seven Dragon Balls. 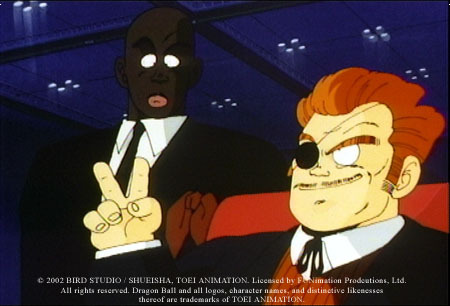 To this end, his forces have been deployed all over the world, with orders to take the Dragon Balls by any means necessary.